Under Tips Music Films Banner bollywood super hit comedy film Phata Poster Nikla Hero directed by Rajkumar Santoshi & producer of this film are Ramesh S Taurani. The stars are Shahid Kapoor, Ileana DCruz, Padmini Kolhapure…. Savitri, Salman Khan. Movie released on 20 Sep 2013. Here You Download Free Phata Poster Nikla Hero First Look. Under Paparattzy Productions, AOPL Entertainment Pvt Ltd and ABC Entertainment Banner bollywood super hit crime, thriller film Enemmy directed by Ashu Trikha and produced of this film are Yogeeta Bali. 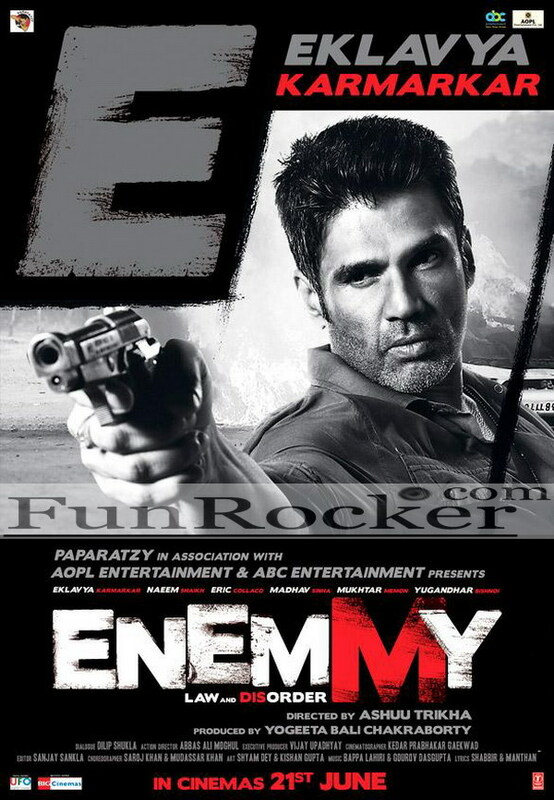 The stars are Suniel Shetty…. Eklavya Karmarkar aka Bhau, Kay Kay Menon…. Naeem Shaikh, Mithun Chakraborty…. CBI Officer Yugantar Sharma, Mahaakshay Chakraborty…. Madhav Sinha aka Maddy, Johny Lever…. Eric Collaco, Uvika Chaudhary, Zakir Hussain…. Mukhtar Menon, Mumait Khan, Akshay Kapoor, Priyanka Upendra. Music composed by Bappa Lahiri and Gourov Dasgupta, Lyricist are Shabbir Ahmed & Manthan. 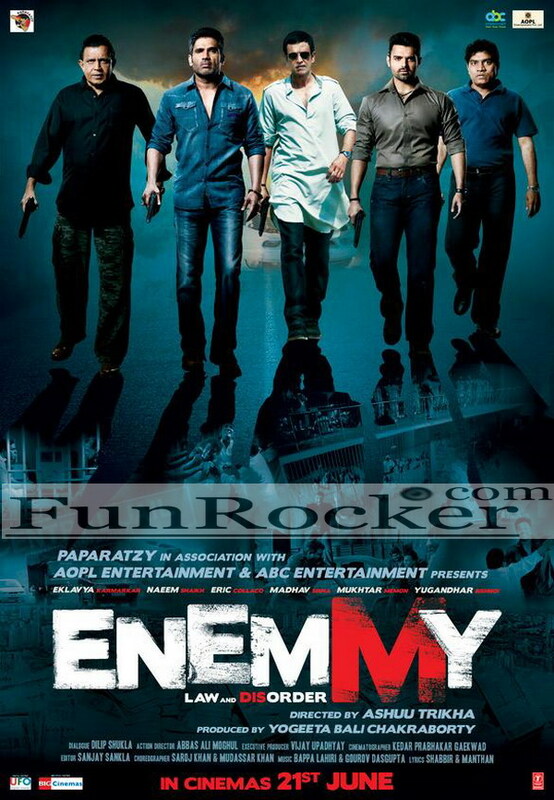 Movie Enemmy relead on 21 Jun 2013. 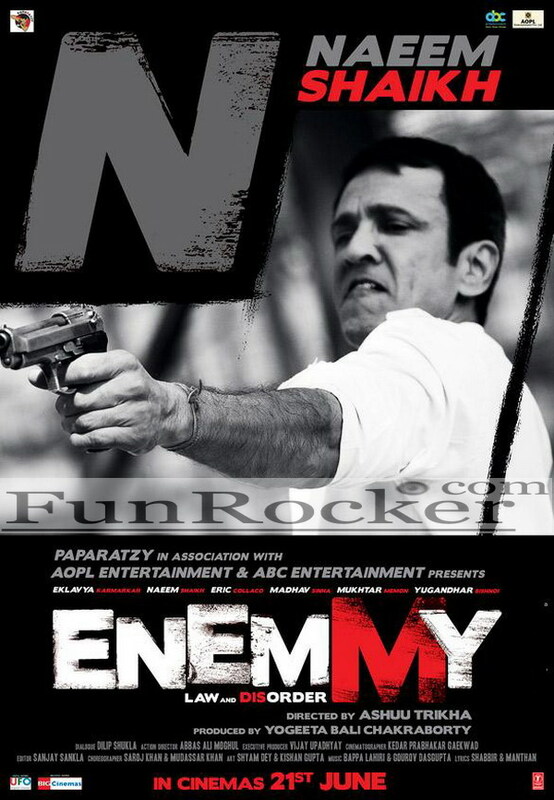 Here You can Download Free Enemmy First Look. Under Philind Motion Picture Banner bullywood super hit Political, Thriller movie Ek Bura Aadmi directed by Ishraq Shah and Produced by Surendra Rajiv, Zenaida Mastur. The Stars are Arunoday Singh…. Munna Siddiqi, Kitu Gidwani…. Rukmi Devi, Raghuveer Yadav…. Prabhunath Yadav, Yashpal Sharma…. Rajnath Pandey, Angira Dhar…. Razia. Movie Released on 26 Jul 2013. 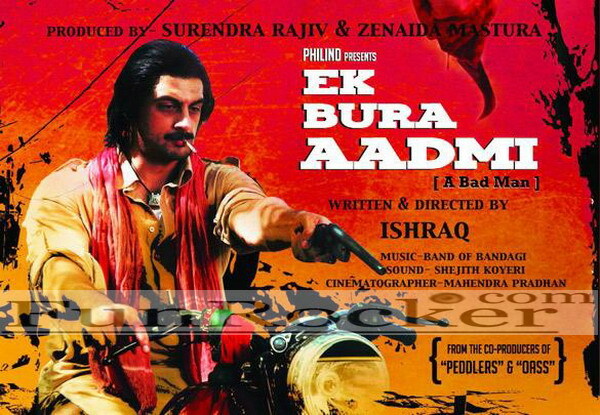 Here You Download Free Ek Bura Aadmi First Look. Under Dar Motion Pictures, Emmay Entertainment Pvt Ltd Banner bollywood super hit thriller film D Day directed by Nikhil Advani & the producer of this film is Monisha Advani, Arun Rangachari, Madhu Bhojwani, Vivek Rangachari. 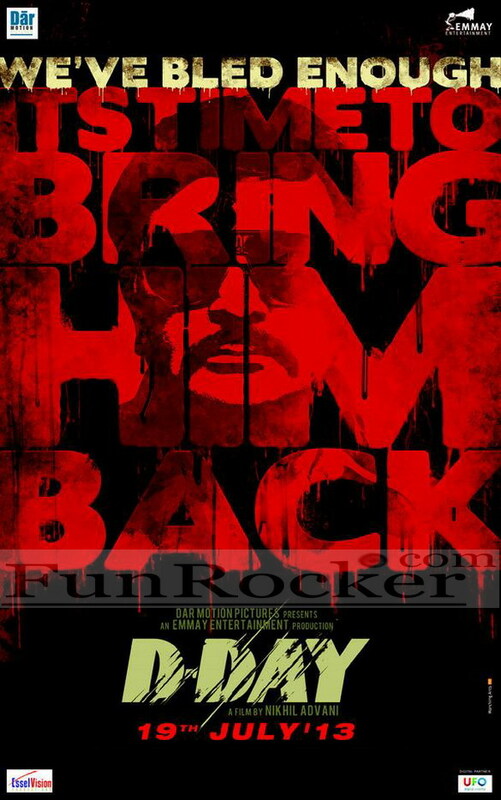 The Stars are Rishi Kapoor, Irrfan Khan, Arjun Rampal, Shruti Haasan, Huma Qureshi, Nasser, K K Raina, Chandan Roy Sanyal, Nissar Khan, Imran Hasnee, Sandeep Kulkarni, Aakash Dahiya, Sree Swara Dubey, Divji Handa, Maryam Zakaria…. Item Number. Movie Released on 19 Jul 2013. Here You can Download Free D-Day First Look. B.A. PASS is bollywood comedy film. The film is directed by Ajay Bahl. The film features Shilpa Shukla, Shadab Kamal, Rajesh Sharma, and Dibyendu Bhattacharya in lead roles. The film was shot by director-cinematographer, Ajay Bahl in the bylanes of Paharganj, Barakhamba Road and Sarai Rohilla area of Delhi, and the principal photography which started in July 2011 in Delhi, after two months devoted to look test, was completed in January 2013. The film is based on story, the title refers to B.A., a basic university degree in India, for which a 19-year old small town guy, Mukesh role played by Shadab Kamal comes to Delhi. The death of his parents leaves him running out of money, and soon he find himself caught in the burgeoning male prostitution culture in the city. He meets Sarika role played by Shilpa Shukla, an unhappy housewife and his aunt, the film follows their changing relationship and their false hopes.The Railway Aunty by Mohan Sikka about the gigolo culture that is patronized by women of middle class India. Sarika seduces Mukesh, shy and inexperienced he falls for her. What follows is a twist of destiny, a kind of story that appears in the tabloids as heinous acts of crime. The 2013 Osians Cinefan Festival of Asian and Arab Cinema, the won the Best Film Award n Indian competition section, while debutant Shadab Kamal won the Best Actor award. Later at the 2012 Montreal World Film Festival the film was part of the First Films World Competition, where it was nominated for the Golden Zenith for the Best First Fiction Feature Film. In January 2013, at the first South Asian Film Festival held in Paris it won The Prix Du Public. The certain awards are the sign of making the film more worth watching the film has the best story. The movie B.A. pass is definitely going to work on the silver screens. Under BVG Films, ASA Production and Enterprises Pvt Ltd, Dhanraj Films Pvt Ltd Banner bollywood super hit thriller hindi film Ankur Arora Murder Case directed & Produced by Suhail Tatari. The stars are Kay Kay Menon…. Dr. Asthana, Paoli Dam…. Lawyer, Arjun Mathur…. Rohan, Vishakha Singh, Harsh Chhaya…. Owner of the Hospital, Tisca Chopra, Manish Choudhary, Sachin Khurana. Mucic of this composed by Chirantan Bhatt. Movie Released on 22 Feb 2013. 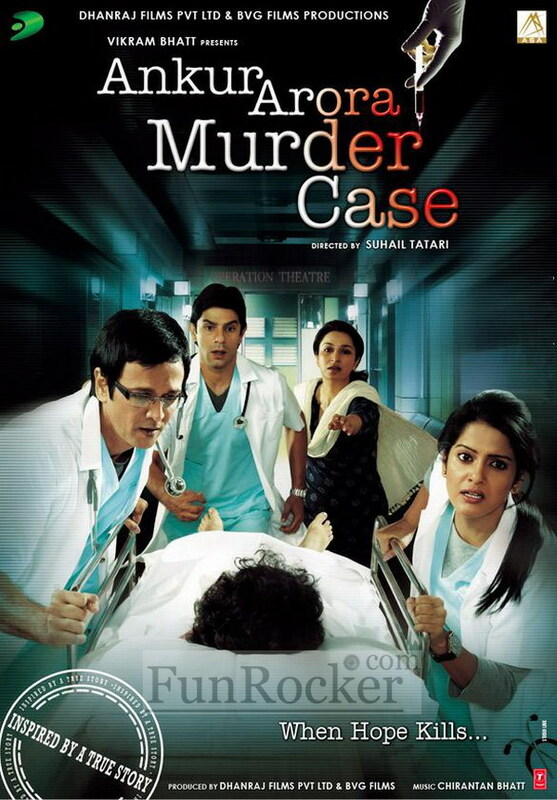 Here You can Download Free Ankur Arora Murder Case First Look. 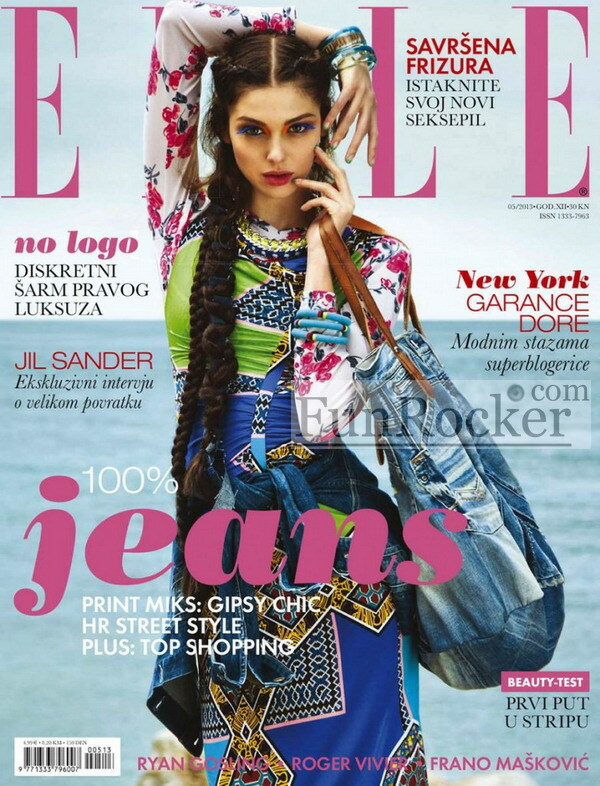 Croatian model Ana Maria Cajner cover shoot for world most famous fashion magazine Elle Magazine Croatia adition for the month of May 2013. She has signed a contract with the prestigious Women Management Agency so we can mail emerged from dreamy Paris. 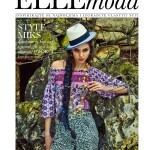 Anyways Ana Maria Cajner on Elle Magazine. Karlie Elizabeth Kloss (born August 3, 1992) is an American model and ballet dancer. 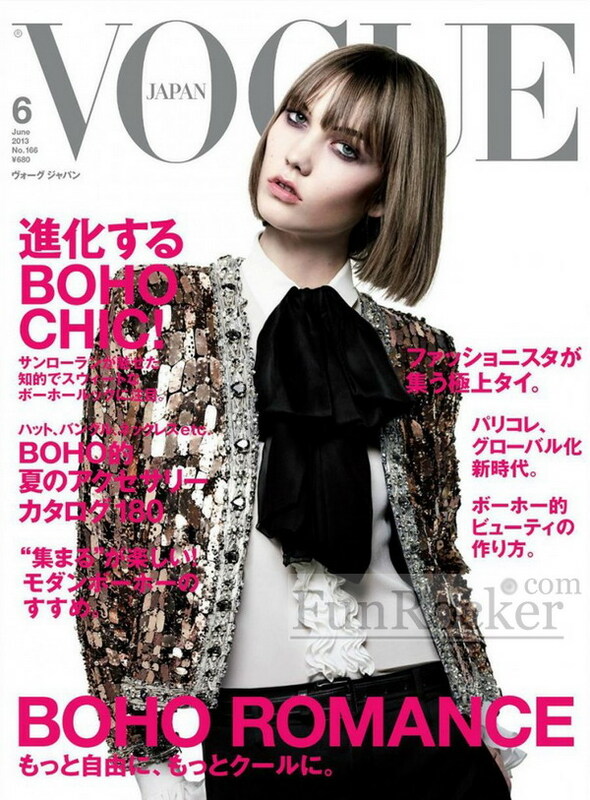 Karlie Kloss cover shoot for the world famous fashion magazine Vogue Magazine Japan adition for the month of June 2013. The model is presently in a stable relationship with 27 year old businessman Joshua Kushner. Anyways Karlie Kloss on Vogue Magazine.